Can she manage to reawaken his passion for life, love and the club?? This isn’t your typical edgy motorcycle club type of a book, but it is strong in the sense of brotherhood and true affection. 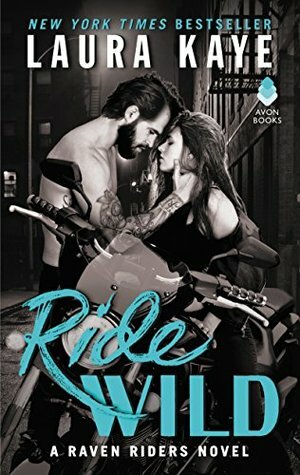 We’ve known Cora since book one when she came to the club for help with Haven and we’ve had faith that she would one day get her story with one of these tough yet gentle bikers, and Ride Wild is her time! I loved her and Slider together, and most of all, I enjoyed the little family they made for his boys. I hope there will be more in the series! Sam “Slider” Evans became a different man when he lost his wife a couple of years ago. He turned away from the club, became serious and brooding and only had eyes for keeping his sons life stable. Everyone thought he was buried beneath his grief … there was some of that, but there were also some ugly secrets that he’s been carrying the burden of as well. Cora Campbell has been babysitting part-time for him for a few months now, and his kids really enjoy their time with her. When Slider offers her a more permanent nanny position, she is overjoyed at having a chance to have her own space and save money for things she wants to do with her future! Being in closer proximity makes it harder for him to ignore the sizzle that she brings to his body when she’s near … they both need some TLC and a chance to heal with someone that will have patience … will they take that chance on each other? And when Cora witnesses something that could put her in danger, will Slider be the one to keep her safe?